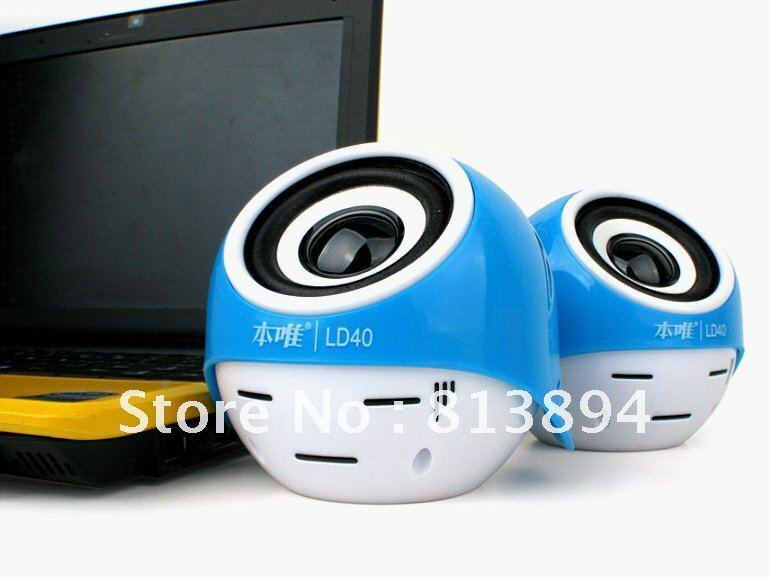 2-Channel multimedia mini speaker for laptop, MP3, MP4, mobile phone and those with 3.5mm audio output. Pure and elegant sound quality with unsurpassed effect. Flexible sound with distinct tone levels. Cool design: half red apple with flashy tri-color LED. Can stand freely on your desk, space-saving and beautiful. Compact and lightweight: easy to carry. 1. Connect this mini speaker to your PC with the USB cable. 2. Plug the audio plug into the 3.5mm audio output of your device. 3. Turn the scroll wheel to adjust volume. 2> Free shipping :we usually delivery by China post airmail,it will takes 7-25 working days . We provide 1 year warranty. If the item is defective or does not work well, please notify us within 5 days of delivery.